Home > Archive by Category "Loans"
Being in debt can make you feel terrified, overwhelmed, and alone. But you’re not alone. In fact, you’re in pretty good company. 80.9% of baby boomers, 79.9% of Gen Xers, and 81.5% of millennials are in debt at this moment. Unfortunately, knowing they’re not alone won’t stop some of these people from making some bad decisions. While taking out a loan is often a smart way to help you get out of debt, if you don’t know what you’re doing, you could end up a victim of predatory lending. These unfair lending practices often force people further into debt. If this sounds familiar, there are steps you can take. Keep reading to learn the difference between legal and unfair lending practices. What is predatory lending? This happens when lenders impose unfair and even abusive loan terms on borrowers. Predatory lenders also falsely convince borrowers to accept unfair terms by using exploitative, deceptive, and coercive actions. In the end, the borrower ends up with a loan they don’t need, don’t want, and often can’t afford. Thankfully, even if you do fall victim to this unscrupulous practice, you can do something about it. 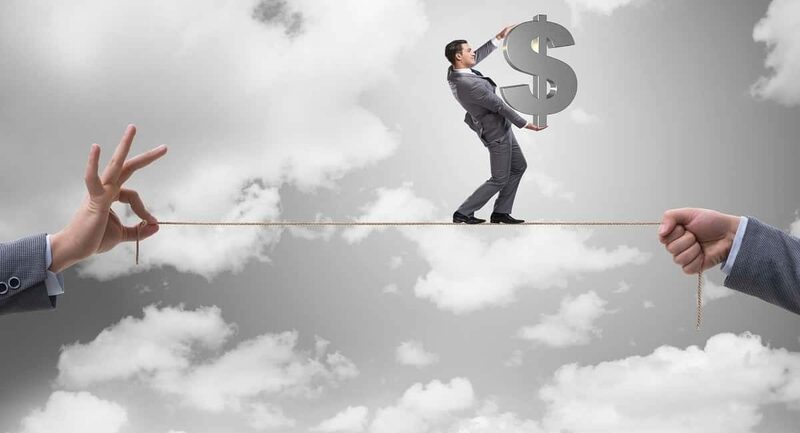 In order to avoid unfair lending practices, it’s important to know how to spot the red flags. We’ll go over some of them now. However, you can also check with sources such as the FDIC if you feel a loan is “too good to be true”. They’ll have more information on the current federal predatory lending laws. Before you hand over any of your money or sign any contract, always ask for a disclosure of all fees associated with the loan. Make sure you fully understand everything before you sign. Especially since most borrowers don’t realize that there are fees associated with a mortgage, there are fees known as points. Even if you have bad credit or financial struggles, you should aim to pay no more than two points on your mortgage. And if the lending company asks you to hand over hundreds of dollars for an application fee or other charges, shop around. Low monthly payments sound great. But read the fine print first. You may have low monthly payments because you’re only paying interest on the debt. Another common reason for low payments with predatory loans is that the company will force larger lump-sum payments later on in the loan term. Both scenarios mean inconvenience and more money to you. And if you can’t make those terms, you could wind up with even more debt or losing your home. Obviously, interest rates vary depending on the loan type, loan terms, and even which lender you choose. But if your interest rates are really steep, it’s a red flag. Yes, those with low credit ratings do tend to pay higher interest rates, but they’re reasonable based on your situation. Before you take on a loan, contact your accountant first. Look out for language in your loan contract that makes it illegal for you to take further legal action for misrepresentation or fraud. Not only is this a huge red flag, but if the lender does commit fraud, your only option at that point is arbitration. Usually, that puts you at a greater disadvantage. Most of us love the thought of paying off our loans before the loan term is over. Some wish to refinance to get a better rate. Others want to sell their home. Make sure you won’t incur a penalty for paying off your loan early. If you feel rushed to sign papers before you’re ready, move on to another lending company. Never, ever sign anything you don’t understand or agree with. Blank spaces in contracts is not a good sign. In fact, do yourself a huge favor by having a lawyer look everything over first. While it sounds great that certain lenders are willing to approve you regardless of your credit history or rating, it’s actually a red flag. There are plenty of loans such as cash loans available for people with poor credit that are legal and safe. The first thing to do to protect yourself against unfair lending practices is to do your homework. Find a few companies who provide loans and do a comparison. Do a credit check on yourself so you know where you stand. This will help you understand what types of loans you actually qualify for. Make sure the company and the representative are licensed to work as a lender. If you can prove that your lender violated the Truth in Lending Act, you may be able to file a lawsuit. Suing predatory lenders isn’t easy but you can collect monetary damages if you win. Keep in mind that while the Truth in Lending Act is federal, your state laws also come into play. Check with an attorney before you do anything. You have the right to turn down a loan even after you sign the paperwork. With most loans, you have three days to make up your mind after you sign the documents. Predatory lenders don’t usually adhere to the Truth in Lending Act requirements. Which means, if your lender didn’t provide you with a Notice of Rescission or you found errors in the notice, it’s not legally binding. And, if your loan closes without that notice, you have three years to rescind the loan agreement. What this means is that if your lender failed to provide you with proper notification of your rescission rights, you can legally walk away from your obligation. And, if you choose to take them to court, you might even collect damages. It’s illegal for a lender to harass you for any reason. If you’re the victim of this type of behavior, submit a complaint to the Consumer Financial Protection Bureau (CFPB). You can also contact your state’s attorney general. If your personal information was compromised, visit the Federal Trade Commission’s website to help you deal with identity theft. If you suspect you’re the victim of predatory lending, don’t wait to contact a lawyer. Take action now to keep your money and your sanity safe. If you don’t have a lawyer, we can help. Our directory can help you find the perfect attorney for your needs. Click here to find a qualified lawyer today. SBA Loan Default – Can you Discharge SBA Loans in Bankruptcy? In my years as a workout officer for the largest SBA lender in the country, borrowers filing for bankruptcy was par for the course. Whenever you combine lots of money owed with little chance of paying it back, the prospect of bankruptcy in one form or another is always lurking. If you are facing an SBA loan default because you or your business can’t afford the payments, chances are that bankruptcy has crossed your mind. Today, I’d like to cover the most common questions that borrowers ask when it comes to an SBA loan default and bankruptcy. Can an SBA loan default be discharged in bankruptcy? Yes, I’ve seen plenty of chapter 7 BK filings as a workout officer. As a consultant, I’ve also had my fair share of clients who retained me to after a BK. The reason they retained me was because despite having their personal guarantee released, the lender still had a lien on their home. Wait, A Bankruptcy Doesn’t Get The Lien Released? So while a personal guarantee can be discharged, a lien on your personal residence will remain intact if there is equity in your home. This is an important fact to know, as I’ve received calls from more than one upset borrower who only learned that the lien stayed in place AFTER they went through the BK. Negotiate an SBA loan default Offer In Compromise (OIC) and have a release of the lien be included as part of the OIC. If it’s going to cost the borrower the same, most people would just as soon avoid having a BK on their record. When’s the best time to seek a lien release following a bankruptcy? While the real estate markets can experience declines here and there, over the long term real estate has historically increased in value over time. If your home is worth $300K today, it’s likely to be worth more 5 to 10 years from now. If you attempt to negotiate a lien release when your home is worth more, there will be more equity and therefore it will cost you more to have that lien released. As long as you continue to pay down your mortgage, you will continue to build equity in your home (assuming the value of your home increases or stays flat). As in the point above, the less you own on your first mortgage, the more equity in the home. The bottom line on lien releases is this: the more equity you have in the home, the more the bank will demand from you in order to release it. In general, equity increases over time due to rising prices and paying down your mortgage, which means the longer you wait, the more it’s likely to cost you to negotiate a lien release. Lenders negotiate based on equity that exists today, so you should use that to your advantage. Jason Milleisen is the founder and owner of Distressed Loan Advisors (JasonTees.com). Since 2009, DLA has helped hundreds of small business owners through the SBA Offer In Compromise process, resulting in over $50 Million saved. Jason is a former workout officer for the largest SBA lender in the US, where he oversaw a $400 Million portfolio of delinquent SBA loans. There are over a million charities in the United States, all vying for your attention and donations. But unfortunately, not every charity is legitimate and some are actively trying to steal your money. Charity fraud is as common as it is despicable, but that doesn’t mean you should stop giving money altogether. Read on to learn the four most effective ways to avoid fraud and ensure your money is actually going to the causes you believe in. Many scam charities will make cold calls directly to your house. They’ll tell some sob story that will pull at your heartstrings and make you want to open up your wallet and donate. Don’t do it. A lot of charity fraud is conducted over the phone because it’s an easy way to take advantage of your emotions and gullibility. And even if the charity isn’t a scam, it’s probably still a waste of money. Charities that solicit money over the phone usually pay third-party telemarketers who will receive as much as 95% of all donated money. If you’re genuinely enticed by a charity cold call, take a deep breath, politely hang up the phone, and do your own research before you donate. In the worst case, a phone scammer could steal your credit card information and leave you broke and unable to pay your loans. If this happens, consider hiring a bankruptcy lawyer. It may also be in your interest to seek out a payday loan consolidation company. Payday loans are small loans that help borrowers pay off unanticipated expenses. Scammers could put you into debt, unable to pay your bills. In this case, calling a payday loan consolidation company, such as Real PDL Help, could be a viable option. Real PDL Help team of financial advisers can help victims of fraud pay off their debt with little interest rates. If you choose to donate online be sure to do your research and find a reputable donation website. You should always research an organization before donating to it. Start by going to their website and making sure it looks legitimate and ends in “.org” instead of “.com”. Then, head over to a third-party organization to read reviews and make sure the charity is verified. Finally, if you really want to go in-depth, ask for the charity’s Form 990. They are required by law to give it to you (unless they’re a religious organization) and it will provide you with all of their relevant financial information. Make sure they’re spending no more than 35% of donations on administration. You want your donation to go to the people that need it. If everything checks out, go ahead and donate with confidence. This is a surprisingly common charity fraud tactic, and it’s really simple. The scammers will set up a fake charity with a name similar to that of a well-known charity. For example, you might see a charity called the National Heart Association instead of the American Heart Association. This one’s easy to avoid. Always double check the name. Charity scammers love playing on your goodwill. And your goodwill is never as high as right after a disaster. If there’s been a recent terrorist attack or natural disaster, put your guard up because the scammers are on their way. In 2005, as many as 4,000 charity sites with Hurricane Katrina in their name had been set up before the hurricane even made landfall. And scammers stole as much as $4 million dollars from well-meaning donors in the weeks after September 11. The best way to avoid this type of scam is to donate to big, well-known charities right after a disaster. They’re usually the ones with the infrastructure to make a difference on the ground, and you know they’re not scamming you. Fraud is a crime. And unfortunately, fraud does exist in our world, and any person is susceptible to it. But by following these simple rules, you’ll never be scammed by a fake charity. If you’re already the victim of fraud, don’t panic. Contact us today! We can help you find the best restitution lawyer. Congratulations! You’ve gotten into law school. Now comes the hard part. Figuring out how to pay for school. The average cost of tuition and fees at the top law schools is $60,293. That’s per year. For many hopeful lawyers, the best solution for paying for law school is to get a loan. But the average salary of a lawyer upon graduation is $68,300 for the private sector and $52,000 for the public sector. Between rent and the cost of living, it doesn’t leave a lot left over to pay for loans. Which means that unless you plan on being in debt for a while, you have wealthy parents, or you just won the lottery, you should keep reading this to learn about the best loans for law school. PLUS loans for law school are provided by the US Department of Education. They’re given to graduate students looking to supplement their educational expenses. These are expenses that aren’t covered by scholarships or other types of financial aid. To be eligible, you must have a good credit history and be enrolled at least half-time at an eligible law school. Interest rates are at 7.9% and with this loan, students can borrow as much as the total cost of the attendance. That amount is determined by what law school they attend. Discover law loans for law school are private loans. Those who receive this loan receive a fixed interest rate between 6.79% and 7.89%. Students are able to receive a lower interest rate if they qualify for the Auto Debit Reward program. You are eligible for this program if you’re the borrower of the loan and you have at least one loan in Normal Repayment where full installment payments are due. There are limitations, though and it’s subject to change. To receive a Discover law loan, students must pass a credit check. Those not in good standing must provide a cosigner in order to get the loan. Those who receive this loan must be enrolled at least half-time and they’re not required to pay back the loan while still in school. Wells Fargo provides loans for law school which are private but offer competitive interest rates. These are great loans for law school for several reasons. It’s a loan that helps students pay not only for tuition, but for expenses like housing, textbooks, lab fees, and anything else that is related to their education. What’s more, there are discounted interest rates available for eligible students. And there’s no expectation to pay back any of the loans until six months after graduation. It’s also possible to have a cosigner added to the loan to help a student’s chance of being approved. Federal work-study programs are found at most undergraduate and graduate schools. It’s a program that provides funding to students attending classes full-time during at least part of the year and part-time during the rest of the year. Students are allowed to work either on or off-campus in non-profit agencies in exchange for their loans. Paid employment cannot exceed more than twenty hours per week per ABA limits. Upon graduation, these loans for law school offer a monthly payment plan. It’s based on totaling less than 10% of your family’s monthly income. This is different from most other loans for law school in that it’s not based on the amount of the total debt you owe. Income-driven repayment plans provide more opportunities for payment relief than many other types of private or institutional loans. The staff in the financial aid department at your law school will determine how much you can borrow. It’s dependent on the cost of attendance at your school, any federal regulations within the state, and any other policies your educational institution may have. Federal Perkins loans for law school are available at many institutions, but not all. How much a student receives is decided by the school and based on your financial information. The maximum amount that can be awarded to each student is $8,000. These loans also have the potential for being included in the Federal Public Service Loan Forgiveness Program. However, while 7,500 people have applied this year, less than 1,000 are actually expected to qualify. Private loans for law school are a great option for students who don’t qualify for any federal loans. A private loan may be a better option for those seeking competitive interest rates. Private loans are also helpful to those post-graduates who are still looking for full-time work. The terms of these loans for law school vary depending on the vendor. Make sure to look at the grace periods and repayment terms before you sign up for a private loan. Also, keep in mind that while there is a $138,500 lifetime limit on federal direct loans for professional and graduate school students who are studying non-health-related fields, private loans have no limits. Those law students looking for short-term loans based on their income should visit this website. These types of loans help you make small necessary purchases while you’re in school. The Federal Direct Stafford loan is a Direct Unsubsidized Federal loan. With it, students can borrow up to $20,500. There’s an interest rate of 6.8% and a 1% loan fee which starts as soon as the loan is distributed. Students are given a six-month grace period before they must start paying back the loan. If a student requires it, there are forbearance and deferment options available. The US Department of Education let’s law schools borrow up to $20,500 from them every year. But remember that these loans for law school aren’t subsidized. That means the interest on any money you borrow starts accruing immediately. Interest rates were fixed at 5.31% in the 2016/2017 school year but are subject to change. Those who are awarded this loan has a six-month grace period to find a job upon graduation before they’re required to begin repaying their loans. A direct subsidized loan is available to undergraduate students with financial needs. The school you attend determines the amount you’re allowed to borrow and the amount cannot exceed your financial needs. The US Department of Education pays the interest on this type of loan as long as you’re in school at least half-time. They’ll also pay interest for the first six months after you leave school and during periods of deferment. A direct unsubsidized loan is available to both undergraduate and graduate students. You do not need to demonstrate any financial need. Again, your school determines how much money you can borrow but they’ll base it on your cost of attendance and any other financial aid you’re receiving. With this type of loan, the US Department has nothing to do with it so you’re responsible for paying any and all interest at all times. However, you can choose not to pay interest while you’re attending school, or during grace or deferment periods, your interest accrues. It will then be added to the loan’s principal amount. Loans for law school can get expensive. Many people have struggled to pay back their loans. As you review your options, evaluate the interest rates available for each type of loan. Government loans can often be more expensive than most people think. Government loans are especially expensive when you hit your limits for federal direct loans and have to consider taking out a PLUS loan. If you need to get a cosigner in order to get a loan, be aware that it’s their credit on the line. If you fail to pay, they’re fully obligated to pay it back in full. And they’re not even the ones benefiting from the education you’re receiving. However, keep in mind that if you choose to opt for private loans for law school, you’ll be able to remove the cosigner at a later date. Many private lenders are willing to release the cosigner once the primary borrower establishes a history of timely payments and has an established and reliable income. After graduating from law school, the next parts are to pass the Bar and then find employment. But with all the competition, you need to find a way to separate yourself from every other recent law graduate student. That’s where we can help. Write for us and share your extensive knowledge of the law. If we accept your submission, we’ll post it within 24 hours. We boast a higher domain authority than most other legal niche blogs and websites. It’s a great way to set yourself up as an expert in your field of choice. We also offer you the ability to list yourself on our site. It’s a great way to establish yourself online and have potential clients and/or law firms find you. The more quickly you establish a presence as a successful lawyer, the easier it will be to pay back those loans for law school. Don’t wait. List yourself for free on our site today. What Happens If Your SBA loan defaults? You had an idea and ambition. You worked hard. You did everything you could to make it work. Unfortunately, that isn’t always enough to make a small business into a success. One of the most frightening aspects can be figuring out how to repay SBA loan defaults. Here’s our advice for getting started. An SBA or Small Business Administration loan is a loan given to qualifying small businesses. Regular lenders provide the loan and handle all the details while the SBA guarantee’s a portion of the loan amount. Since starting or expanding a small business is inherently risky, many banks won’t deal with them without the SBA guarantee. If you are forced to default on the loan a bank will begin standard collection procedures. Generally, a bank will contact you to attempt to establish a payment plan. In cases where there is no ability to make payments, other measures will be taken. The lender can seize any property put up as collateral on the loan. They can also get a court order for money in accounts owned by the business. At this stage, it can be very helpful to contact SBA attorneys for assistance. If the business itself has failed and there are no assets left for repayment, any personal guarantee made on the loan goes into effect. SBA lenders require individuals with more than a 20% stake in the small business to sign what is called a personal guarantee. In this guarantee, they pledge their own assets as additional collateral for the loan. This happens in the event of SBA loan defaults that exceed the ability of the business to pay them. The bank can go after personal accounts, cars, and other assets. We know that this especially can be terrifying. You’ve just seen your business fail, and now creditors are trying to take your house, car and the money you have left. Once a lender has exhausted all over avenues for collecting on the debt, they can file for relief from the SBA. SBA loans are guaranteed at different percentages depending on the type of loan issued. The first thing we recommend is to contact your lender before you are in default if you are having trouble making payments. In many cases, they can work with you to develop a payment plan or reduce the cost of your loan. Once you’re in default you should hire a lawyer. We know what you’re thinking, another expense, but trust us, it’s worth it. We specialize in dealing with these kinds of defaults. We know all the ways to minimize the impact SBA loan defaults will have on your personal assets and future credit. When you’re in the middle of a default it can seem like it will never end. The calls from collectors, the sternly worded letters and court orders that tell you how much of your assets you’ll lose today. Thankfully, there is light at the end of the tunnel.If you need to find an attorney for an SBA loan default or for other legal issues, check out our useful tool here.